That viking sword is a real beauty, Luka! 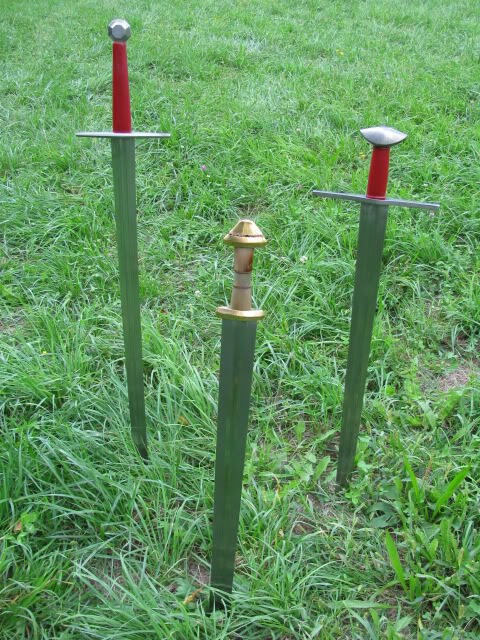 Thanks for posting the pictures Luka, I like the way you personalize your swords. 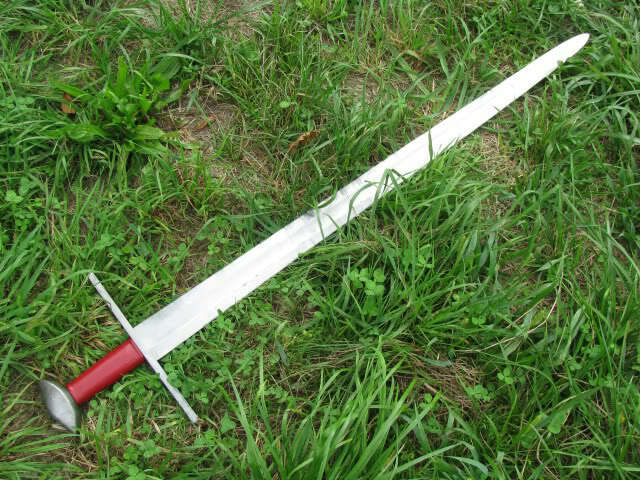 That warsword is inspired by the 12th century sword in Glasgow, right? I recall discussing this some time ago. Very nice swords. I really like the viking sword hilt. What is the material from which the grip is made, it is beautiful. Thanks for the compliments guys. The viking's grip is cow horn. The variation in color makes it really interesting. 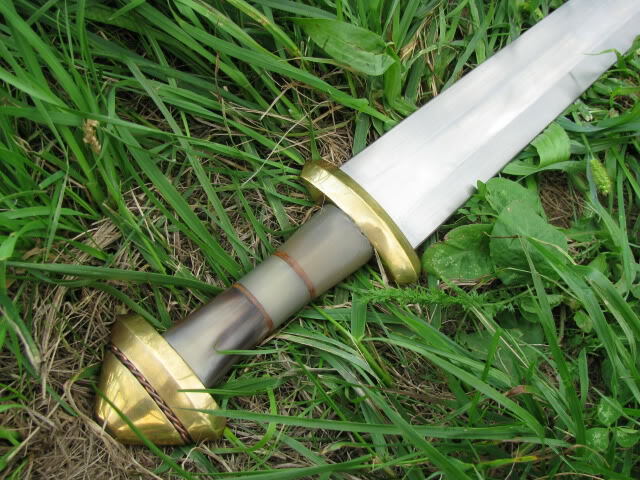 Mr. Crawford, the 2142's hilt is inspired by the Glasgow warsword. I would love to own A&A version or full custom based on it, but this is all I can afford for now. I especially the Del Tin 2130 with the 2142 cross and brazil nut pommel which are a very attractive combination in my opinion. I own a Reeve because I liked that very combination. 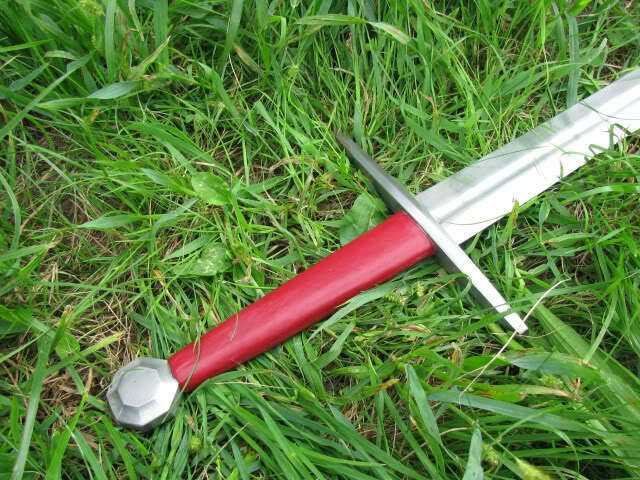 The pommel also makes for a comfortable handling sword and long cross serves as a trap for other swords and looks especially nice. 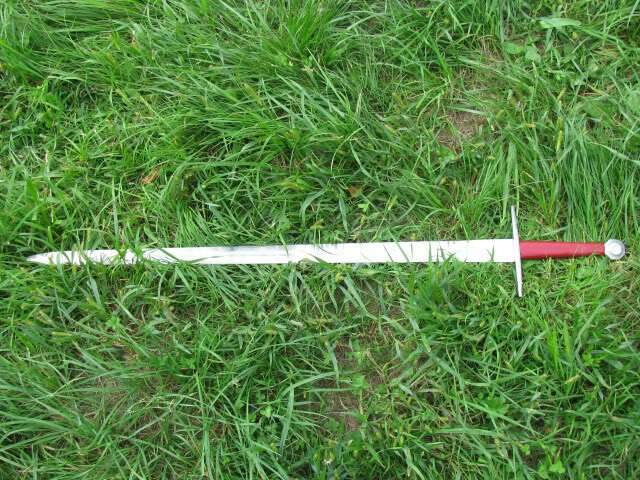 This swords beauty is in its functionality. Your viking is a beautiful sword. 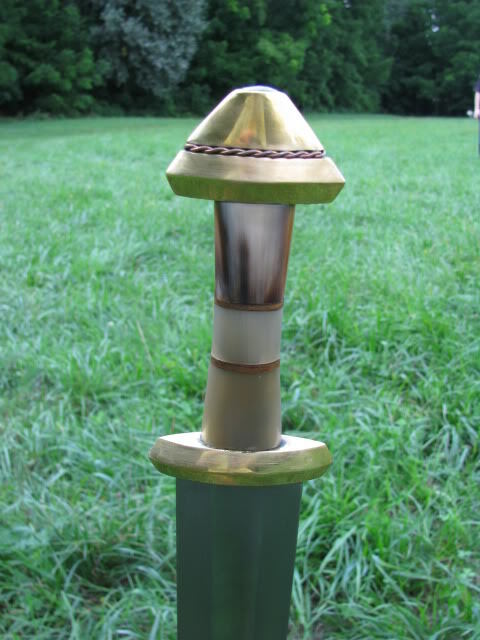 Very nice work was involved in making the hilt. 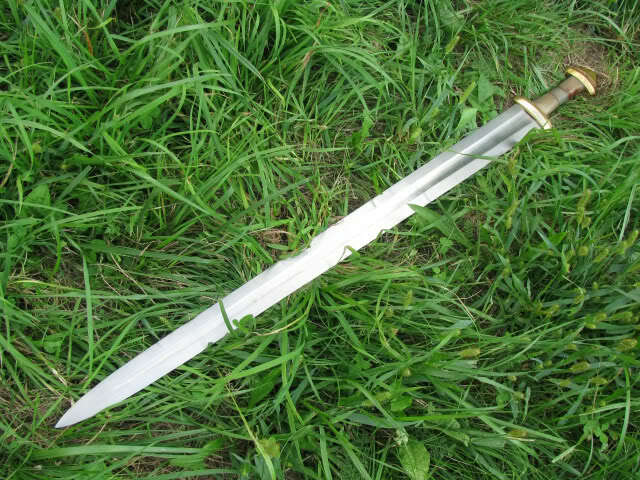 The Long or war sword is a very graceful functional looking sword which as I said before is the attractive quality of a sword. Very nice work Luka, I love the horn grip - lovely to work with. One day I'll get round to doing something similar, quite fancy a migration-age ring hilt, such a thing should be surprisingly easy to do with the trusty grinder! Harry, thank you. 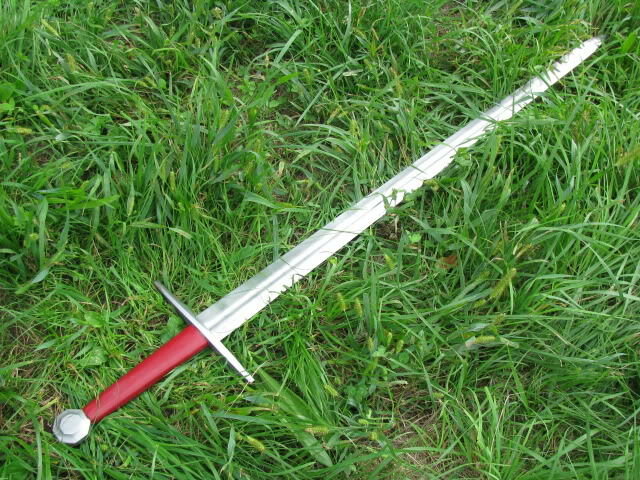 I like swords to be simple and highly functional in shape and get my swords customized according to that. 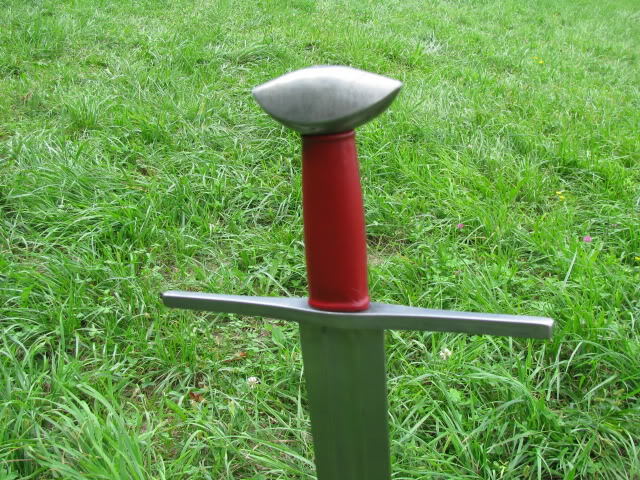 Stephen, I would love to see you make a migration era sword, I really like the baskethilts you made recently. 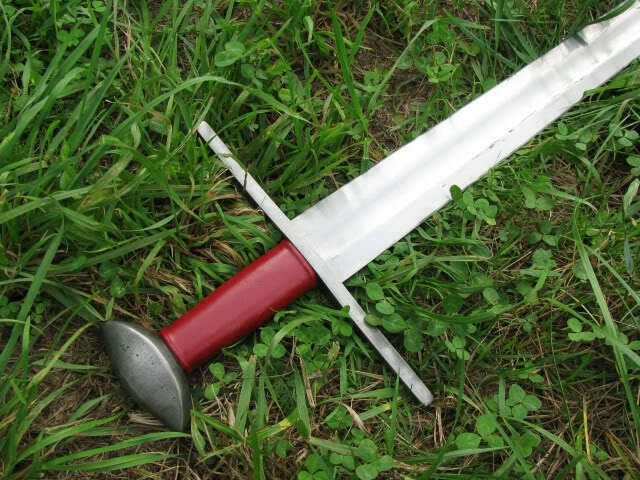 Viking sword is much liked me. Thanks for posting the photos. I did not know that the horn cow could have those beautiful color variations. 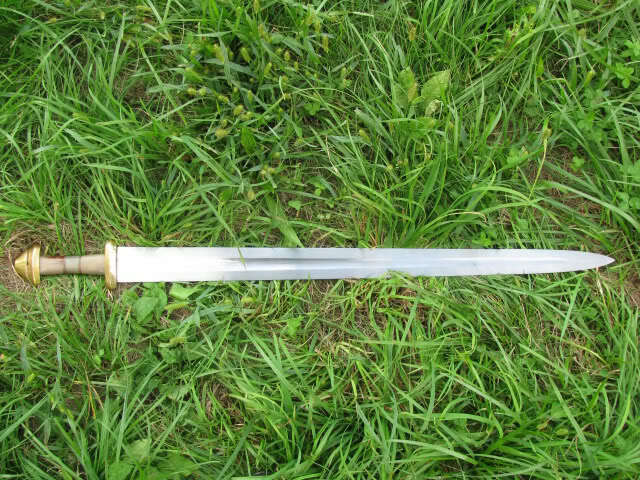 Wow the viking sword is very nice. You picked some pretty nice pieces there. What is the spacers between the horn pieces? Yes I also really like the bone handle: Really nice piece. That's a nice little collection there. I like them all, with the Viking being my favorite. You should do a tutorial on how to do a grip like that. I'd be very interested in learning how to get one to look that good! oh yes, they are beautiful. i especially like the 2130 with 2142 cross-guard. and i want to associate myself with my predecessor: tell us about your experiencies with changing between the pieces. was it done by del tin himself, or is it quite easy, or are you professional ? Is Mr. Krišto a Croatian resident? 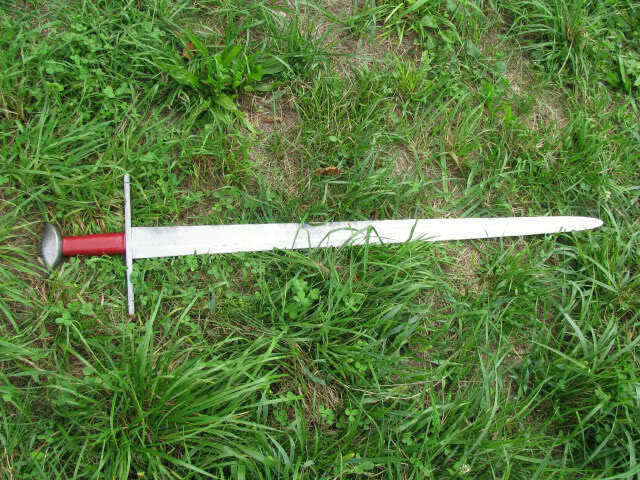 Becuase that would be quite handy for me, when I decide to start upgrading my emergining sword collection with some custom work:).. Does he do scabbards as well? "To you, Baldrick, Renaissance is just something that happened to other people." 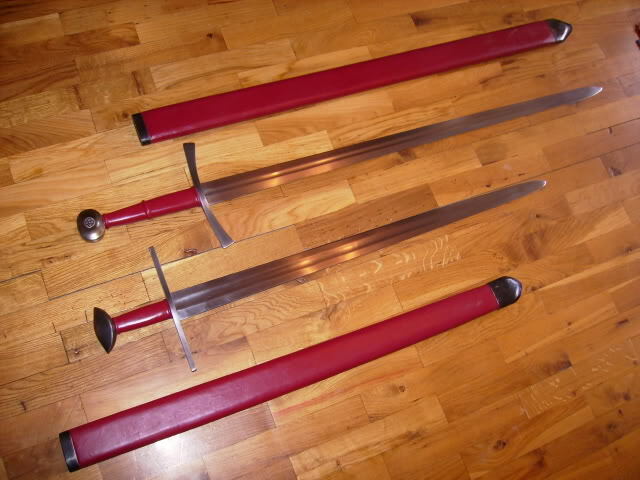 They are quite heavy and thick, one should tell that he wants his scabbard to be light and thin when ordering. I am more interested in upgrading hilts with better quality leather - I suppose he can simply redo the existing scabbard I already have with the same type and color leather, and not do the whole thing from scratch? Anyway, good to know I have this option - at the moment I plan on simply acquring several swords, and improving them with custom work is step number 2. Will you be testing all 3 of your swords? I cut with all of them regularly, also with other swords I didn't post a picture of here (H/T GSoW and a baskethilt with a Windlass blade).